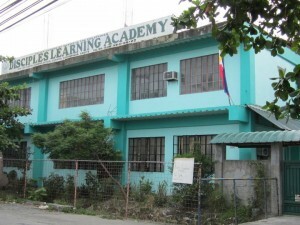 The Disciples Learning Academy, Cavite Inc. is a non-stock, non-profit educational institution founded by the Sabang Church of Christ Disciples. As a church related institution, interwoven in its curriculum are Christian values and teachings of Jesus Christ as witnessed in Scriptures. While this academic institution strongly advocates awareness of God who revealed Himself in Jesus Christ, the ecumenical spirit of respecting other faiths and entering into meaningful dialogue with different religious orientations is upheld. Central to the school’s commitment is the promotion of the child’s welfare in all aspects believing that each child is God’s special creation. Moreover, the child has all the potential of growing in wisdom, in stature and in favor with God and everyone through a strong home-school partnership, wholistic and relevant curriculum in a wholesome learning environment. Assistance is provided by the SCCD Pastoral Team to strengthen the Spiritual Formation Program of the DLA. A Spiritual Formation Week is now being observed in September where the Pastoral Team members take turns as exhorters in the daily chapel service and facilitate the Faculty and Staff Retreat. The Monthly Chapel Services are also guided. It is hoped that chaplaincy will extend also to families of school children.